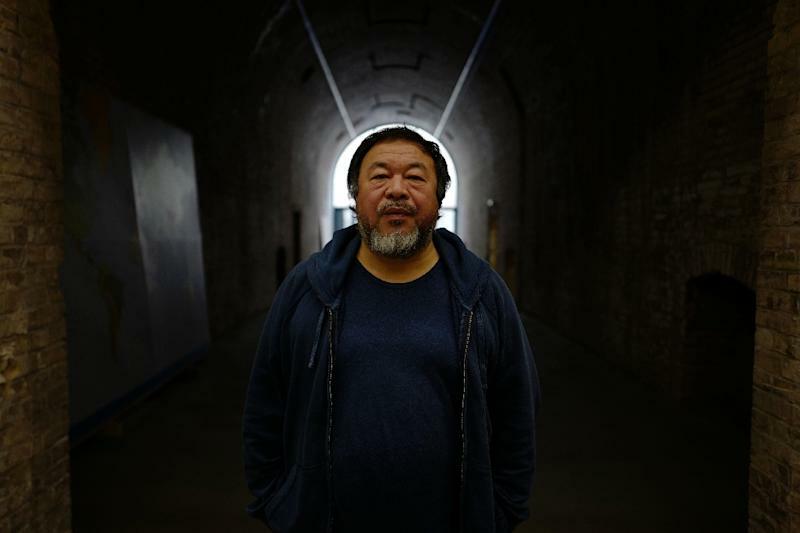 Chinese artist Ai Weiwei and his film crews have visited migrant and refugee hotspots across 22 countries for his epic documentary project "Human Flow"
Berlin (AFP) - Chinese dissident artist Ai Weiwei has a message for US President Donald Trump, Europe's populist right and those who would shut their national borders to migrants and refugees. "A refugee could be anybody. It could be you or me," he said, pointing at past wars and an increasingly uncertain world order. "The so-called refugee crisis is a human crisis." Over the past 12 months, Ai and his film crews have visited migrant and refugee hotspots across 22 countries, from the US-Mexican border badlands to the Turkish-Syrian frontier and crowded holding camps on Greek islands. Now back in his Berlin studio, Ai talked to AFP about the result of his tour de force, the epic documentary project "Human Flow", set for global cinema release in the late northern summer of this year. "The issue really needs to be understood better by the people who are privileged to still have peace," the 59-year-old said. "Peace is always temporary. No-one can be guaranteed to always have peace. "If you look at the world's condition today, war still can happen at any moment, there is such uncertainty about our politics, and so many unanswered questions." Ai said he viewed US politics now as "quite sad, quite disturbing ... in many ways going backwards", pointing at Trump's comments that label entire "groups of people as terrorists or drug dealers". The subject of migrants and refugees, and how many a society can and should accept, is being discussed across the western world, but Ai is characteristically uncompromising. To those who say the boat is full, he replies simply that "the boat is never full, only our heart is full". Ai said he has looked with dismay at the Trump presidency, the US entry ban on Syrian refugees, the attempt to deny visas to citizens of seven mainly Muslim nations, the pledge to build a wall with Mexico and invoke mass deportations. In the United States, he said, everyone except the native Americans is either a migrant or a descendant of a migrant. "I went to the Mexico border twice and I purposely crossed the area where Trump is going to build the wall," he said. "I talked to those people on the Mexico side, just trying to understand who are they, why they want to be on the other side. "Both sides need each other. It's not just Mexicans who need the United States, the states bordering Mexico equally depend so much on the low-cost labour." Ai has staged several high-profile exhibitions on the mass flight of people from Syria and other trouble spots to Europe, often on dangerous Mediterranean crossings. Last year he decked out the columns of Berlin's Konzerthaus with 14,000 orange life jackets from the Greek island of Lesbos. In Florence, he hung 22 red rubber dinghies from the facade of a Renaissance palace. Ai said his personal history has shaped his interest in human flight and displacement. "When I was young, my father was exiled," he said about the poet Ai Qing, who fell out of favour with Mao Zedong's regime. 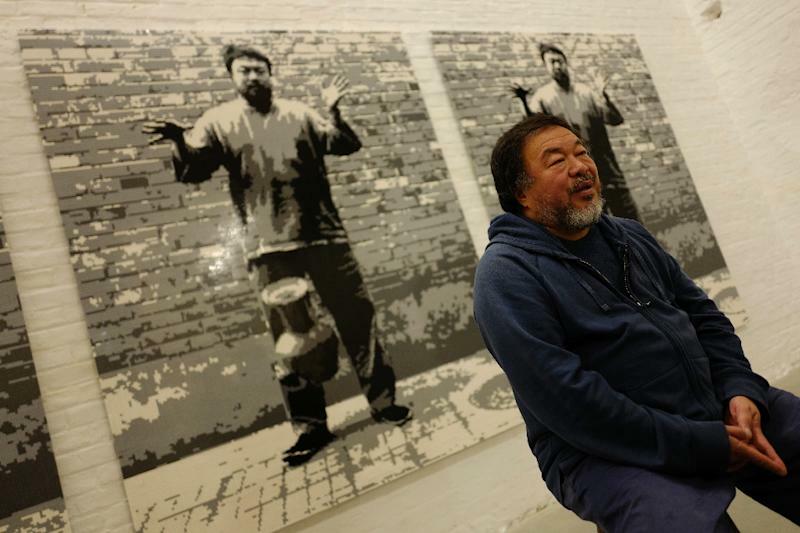 "We had to move to a very remote area in China and I grew up in kind of military camps," recalled Ai. "So I am very sensitive to people forced by different reasons - it could be political, war, famine, environmental problems -- to seek, willingly or unwillingly, new locations and possibilities." In a sense, he too feels like a refugee. Having helped design Beijing's Bird's Nest Olympic stadium, he later drew the wrath of the state for his outspoken activism. Ai was detained for 81 days in 2011 and then had his Chinese passport confiscated for four years. Many of his fellow activists have been jailed. 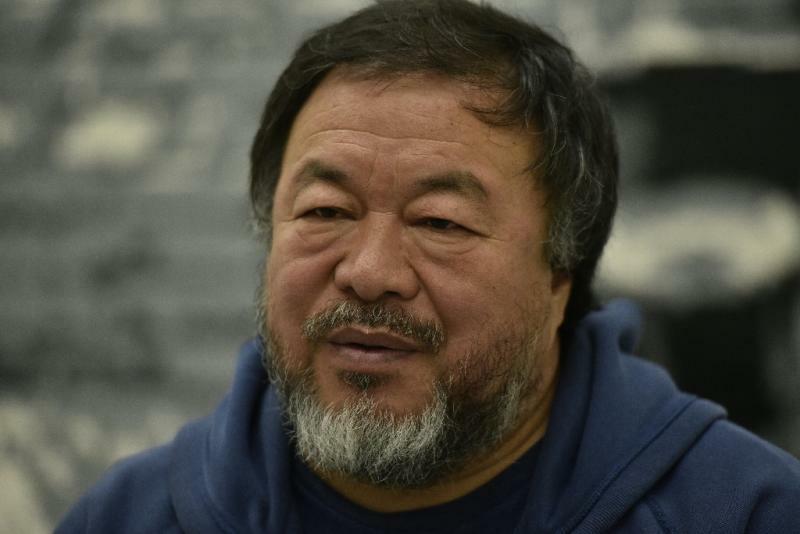 "I was in China but now I am being almost forced out of China because all those lawyers are still in jail and all those people I know are still in secret detention," he said. "I have been put in the same kind of situation and it's very possible it can happen to me again," said Ai. "This is the reality."